Fancy latin name for a common green bottle fly. 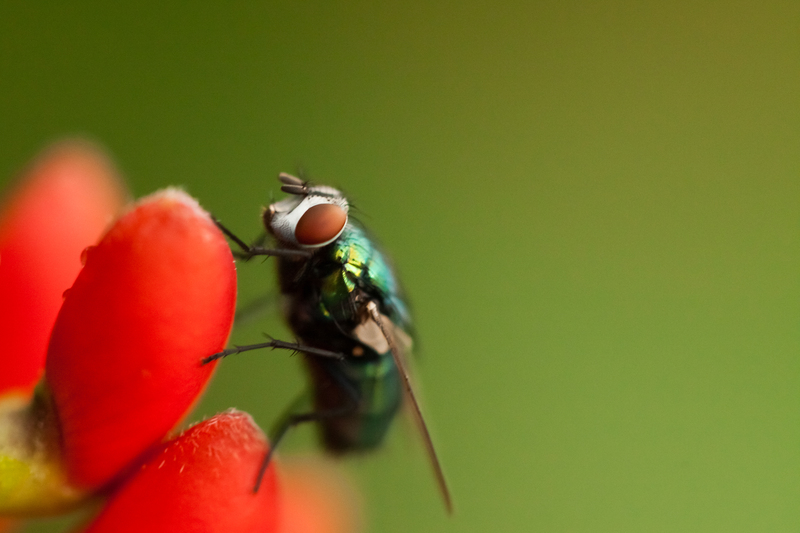 Pro-tip for handheld insect photos: Use manual focus and spam the shutter button. Even if there’s no wind, breathing will put the focus off so with 20-40 shots you should have at least one in focus. ← Macro Week #7 – Day 1: Bournemouth.